If you are planning a move from California to another state, you need a professional moving company who is experienced in the unique challenges this type of move brings. State-to-state moving requires extensive planning, and the San Clemente state-to-state movers with the experience and knowledge you need can be found at Coast Valley Moving & Storage. In our 40 years in the moving industry, we have helped countless individuals move from California to another state. Our professionals have a passion for helping people plan and execute state-to-state moves quickly and easily. Whether you are moving out-of-state for a new career opportunity, to pursue education or simply for a change of scenery, the experts at Coast Valley Moving & Storage are the state-to-state moving professionals you need. Our comprehensive household moving services will take you from planning to unpacking seamlessly. 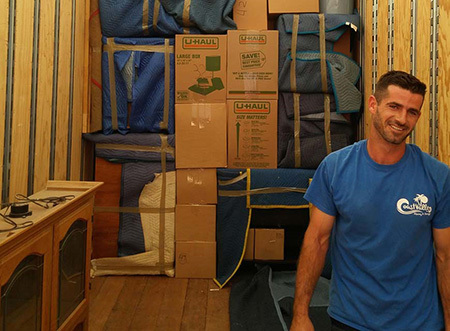 Don’t trust your out-of-state move with just any moving company, trust the experts at Coast Valley Moving & Storage. Our San Clemente out-of-state moving services can’t be beat, and our customized options ensure you get the services and solutions you need. For more information on how Coast Valley Moving & Storage can help you with all of your state-to-state moving needs, contact us today! Give one of our friendly and knowledgeable moving specialists a call today or fill out our convenient online form to request your free estimate! out our services, just give us a call or fill out our online form today!